Not so fast! Well, where post production for still photography is concerned. 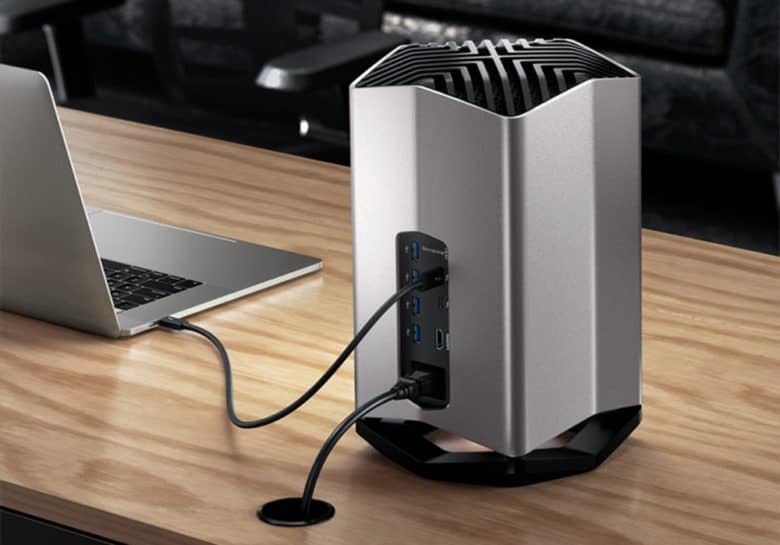 The futuristic design of the Blackmagic eGPU, which Apple is selling to MacBook Pro users who need the graphics processing power of a desktop, makes it look blazing fast. But fast is an action, not an aesthetic, and in the opinion of one reviewer, photographers thinking of spending $699 should save their money. Colin Smith, the host of the YouTube show PhotoshopCAFE, paired a Blackmagic eGPU device with his 2017 MacBook Pro. The eGPU sped up some tasks by only a second or less and when he applied a preset to 49 photos, the MacBook Pro was faster on its own (9.78 seconds) than when it was attached to the eGPU (14.73 seconds). Adobe has help pages that suggest where in Photoshop and Lightroom an eGPU will accelerate actions, but Smith said the boost in speed is insignificant. Here’s why a graphics processor may not be a good buy for photographers. The speeds of Photoshop and Lightroom are affected more by CPU, Ram, and SSD than a graphics card. The Blackmagic eGPU is a better fit for professional video programs that utilize external graphics processors for more core features. So for the photographer who wants post-production to move quicker, the money is better spent on hardware upgrades, Smith said. Created through a partnership with Apple and Blackmagic, the eGPU is a stand-alone unit that holds an MD Radeon Pro 580 graphics card with 8GB of DDR5 Ram. It sells exclusively through Apple.